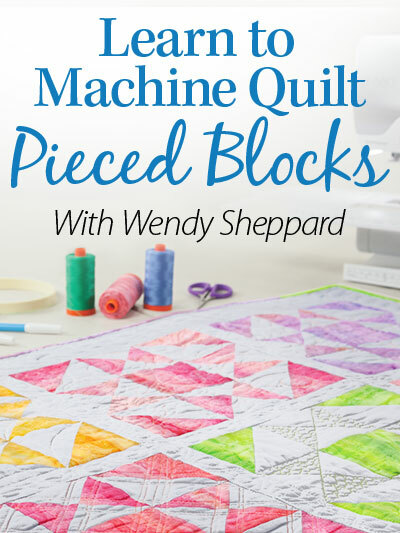 This entry was posted in Quilt Pattern, Quilting, Quilts & Projects: Published and tagged Giveaways, Landauer Publishing, McCall's Quick Quilts April/May 2016, Wendy Sheppard Designs, Windham Fabrics. Bookmark the permalink. I have been quilting only a little over a year and the 6 quilts I have made where Christmas gifts. So none for me yet but I have 4 UFO that will be for me. I seem to finish gifts before I get anything finished for myself. I sure do use my quilts. Have given many away to family members and they use them too. In fact, the one on my bed, I’ve been using since I made it in about 2000. Love your blog and pictures. Congrats! Your patterns always showcase the fabrics perfectly Wendy! Thanks for sharing! I use some of my quilts and the rest are stored. Of course I use my quilts. I have one on every bed in my house. I also have an 18 foot long railing between my first and second floor that I display my quilts on. I rotate the quilts so the all get a chance to be seen. I do use most of my quilts. I have a large quilt on my bed, very colorful. I admit I have some smaller quilts tucked away. Some, I would like to hang on my walls. I definitely use the quilts I make but truth be told I’m starting to wonder how many quilts can one home really have and have started making more wall hangings which I change out frequently. Congratulations! Love the colors–some of the best combinations are found next to each other thrown in the scrap basket–serendipity! Then there is the challenge of finding more fabrics in those scrap colors… We have quilts on the beds, on the sofas, and one on the wall in my sewing room. Mostly I give them away and hope they are well used and much loved. I definitly use my quilts! Apart from the queen sized “Daisy a Day” quilt I made for my own bed, most of my quilts are made to give away to specific people or organisations. However I have started to make a couple of small quilts each year now to enter in quilt shows, and these end up on my walls, so I get to use these, but just not in a traditional way :-). 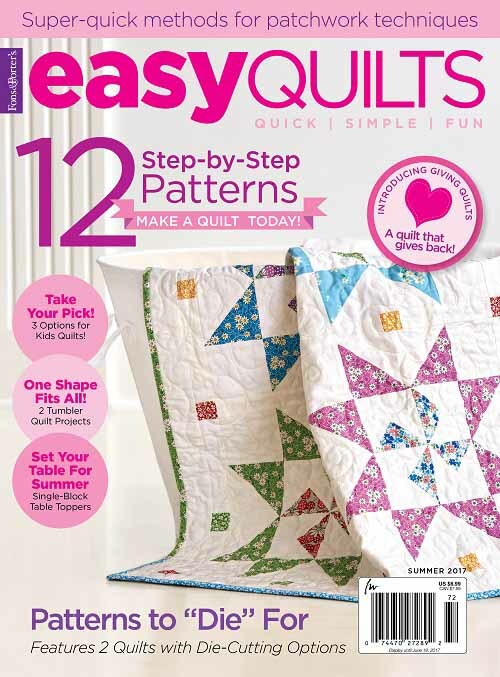 I’d love to win a copy of McCalls Quick Quilts so I could see how to make such a gorgeous quilt quickly. I have given away every quilt I have made (mostly baby and kid sized), but I made one for myself which is currently at the long-armer’s (for way too long). So hopefully it will be ready when I return home from Florida. I’ve given away all the quilts I’ve made except for one – a 60″x60″ triple bear paw which sits nicely on top of our queen bed! I usually make wall quilts rather than bed quilts, but yes, I do display them. Your book looks great & I love the colors you used. 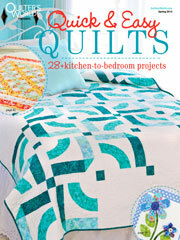 Yes, I actually use my own quilts and so does my family who have rec’d some of them too. CONGRATS TO YOU WENDY! LOVE YOUR WORK! THANKS FOR A MAGAZINE GIVEAWAY! Fabulous! I give most of my quilts away!! I’d love to win a copy of the magazine! Big Time looks like fun…and, perhaps, size adaptable! Use the quilts, of course. We have some that we rotate in the living room and some that we rotate in the bedroom. Most quilts are given away… and just last Sunday, two of them arrived at church with their babies in tow. How fun is that! 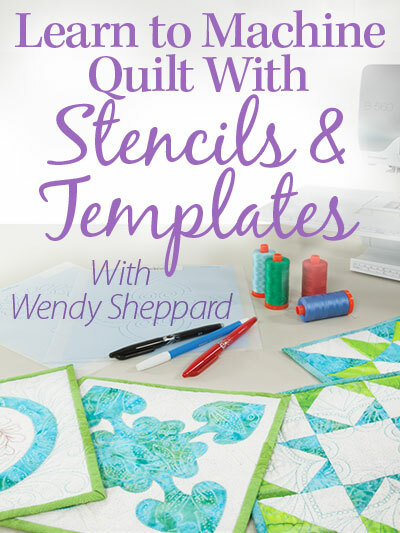 Hi Wendy….I use about 1/2 of the quilts I make….but the rest are given away and are used by others. I’d LOVE a copy of the magazine as I really like this pattern and have a fat quarter collection that I’ve been saving for just the perfect project. Blessings…..thanks for a chance for two of us to win. Very nice Wendy! I like how it was displayed. Yes, I do use my quilts. I use them on beds, for throws & for decor. I often rearrange them to highlight different ones. Lots of fun. I love this quilt design. I can see it in so many colors, and love the gray and white with the brights. As for my quilts, I’ve made some specifically to keep, have given others away, and also made some to sell. Sometimes those end up getting donated or given away. I’ve given away a number of quilts and always tell the receiver to use it, love it, wrap up in it. My grandsons each have quilts that have been with them since they were born. Their quilts are comfort when they are sick and fun to build forts with. Oh, my goodness, Wendy, you certainly have the magic touch! I have given all but one quilt away. It’s probably an even draw between friends and family, and people who have needed some comfort along the way. Some quilts i give away, well, most of them, really. I use my quilts& give as gifts quilts to family, my nieces & nephews, and 6 grandchildren. I make bed size and lap size quilts and make sure they are used. They populate my home!!! Oh my goodness, yes, we do use the quilts on our beds! Here in WNY it can get mighty cold in the winter, and our bedroom is at the far end of the house from the furnace. There was one night that I had 4 quilts on my side of the bed! Most nights it’s 2 or 3 during the winter, and maybe just one light one in summer. We have more on the couch and chairs, the guest room, on the quilt racks, you name it! I am fairly new to quilting. So far all my quilts have been gifts for my grandchildren and children. One of these days I’ll make one for me. I do love making them. It’s a great change from all the years I spent making clothing for myself and kids. Quilting is my new passion. I especially want to get better at free motion and Wendy is a great teacher. So far my quilts have been given as gifts to family members. I give away most of the quilts I make!! Beautiful quilt! I have a couple of quilts I made that we use, but most of them are give as gifts. I like to use all the bed size quilts I make if i don’t give them away. I rotate my wall quilts as able to change up the season. Thanks for sharing the giveaway! I made a lot of quilts and gave them away before I decided that I needed some of my own, Now I regularly make and use my quilts from bed quilts to wall hangings. I also love and use small quilted items like pincushions, totes and pillows. I am on a quest to have bed quilts for each season for my own use (for a change). I am working on my neutral anytime of the year quilt now having finished my autumn, winter/holiday and summer quilts. Next will be spring! I love to snuggle under my quilts. That’s why I make most of them. So far the quilts I have made have gone to my kids and, yes, they are being used. I use my quilts on beds, for display and gifts. Duh! Of course, I do! And, I insist that those I give as gifts be used, too; and I make sure to let them know they’ve ALREADY been washed, so it is safe to wash them again when needed. 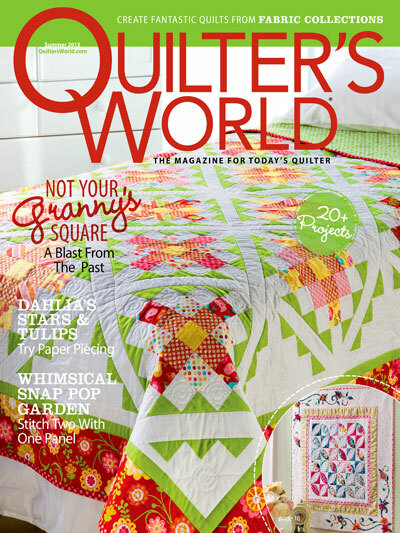 I absolutely use the quilts I make! Log cabin in on our bed much of the year, the guest bed has an Ohio Rose quikt made by yours truly. I’ve got quilts hanging on the walls and the grandbabies all have quilts I’ve made. 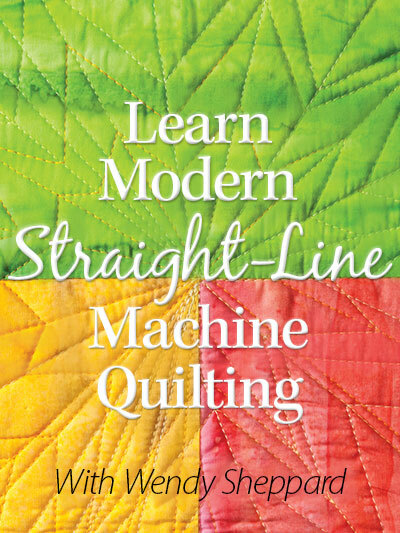 😊 I hope I’m the lucky winner…can never have too many quilt patterns just itching to be made! Beautiful quilt, Wendy. I always love seeing you pop up in my magazines. We all use quilts around here – great snuggling!